Today we have a guest post from Ashley of Budgets Made Easy. Ashley was able to pay off $45,000 in 17 months and now teaches people how to pay off their debt. So… you’ve decided you want – or maybe need – to finally start budgeting. It’s one of the first steps toward handling your money like an adult. Budgeting can be a little tricky at first. It takes some time to learn how to set up a budget and then stick with it! 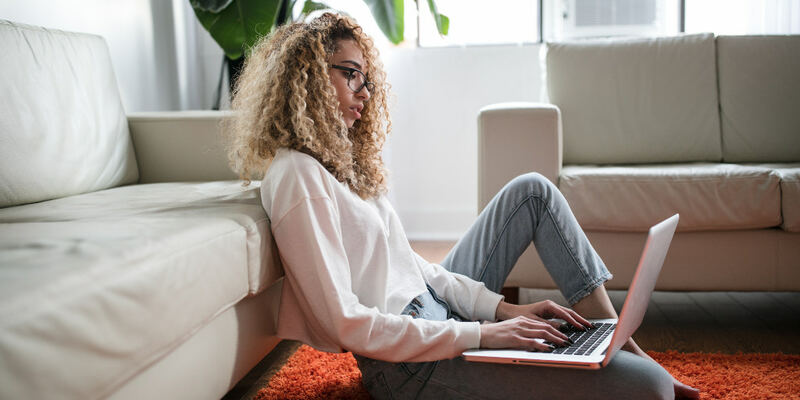 I had a budget for a long time, but it wasn’t until I started a zero-based budget that I was able to pay off my debt and save up six months worth of expenses for my emergency fund. A budget is simply writing down your income and expenses. It’s that simple. You can add due dates. You can compare projected versus actual expenses. You can do a monthly, weekly, or even a bi-weekly budget. The key is to write it down… Especially when you are just starting one. Once you get the hang of it, you can move to a spreadsheet or app. But first, I recommend you write it down with old-fashioned pen and paper. A zero-based budget is based on the idea of budgeting every single dollar. It is more efficient than just a regular budget because it gets every dollar working for you. Before I would do a zero-based budget, I would budget my money and have so much left over for food, gas, and whatever else we wanted. The problem was that the”leftover” money that was just didn’t go toward any goals. It just disappeared because I wasn’t intentional about where it went. A zero-based budget is being intentional with every dollar you earn. Can I still have fun when doing a budget? You just budget for fun stuff. You may have to cut back on a few things here and there depending on your goals, but you still get to have fun. The best part about having a budget is that you get to have fun without feeling guilty. If you budget for it and pay cash for it, there is no need for guilt. You don’t have to worry about the credit card bills coming in the next month. You don’t have to worry the next day about what you spent. You simply put it in the budget and pay for it with cash. So how can I budget like an adult? 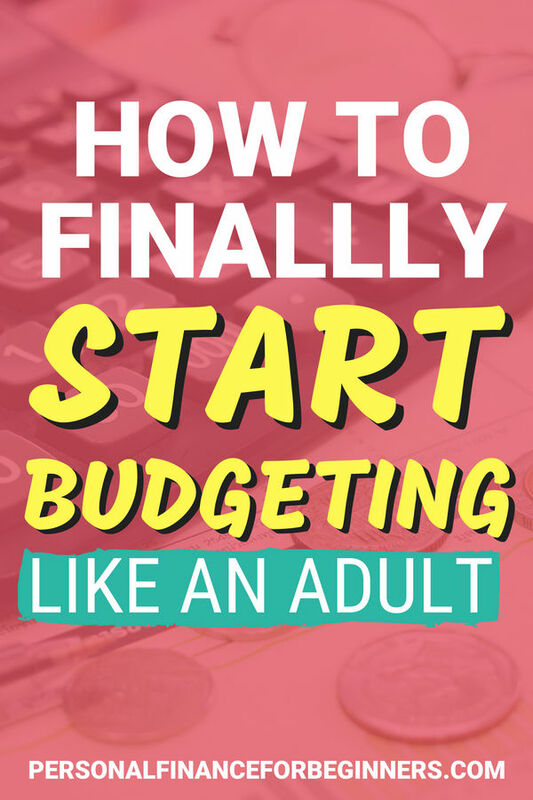 Budgeting like an adult can be stressful at first, but the sooner you do it the better off you will be. Imagine never being stressed about credit card bills and loan payments. Imagine being able to travel the world while you are still young. It all starts with a BUDGET. You won’t know if you can even afford to travel across the state let alone the world without a budget. You have to be a grown up and face it like an adult so you can go do what you want to do. The first thing you need to do is figure out how much money you are making. This includes any side jobs that you may have. If you get paid irregularly, then figure out the average monthly income you make. Adults know how much money they make. This is the only way to start your budget. The next thing you need to do is figure out your expenses. You need to determine what your bills are for each month and when they are due. You will also need to decide on reasonable amounts for things like food, gas, entertainment, savings, clothes, gifts, Christmas, vehicle expenses, and things like that. The most important thing you can do for this step is to review the last 1-3 months of expenses. It will be extremely eye-opening for you. I know when I did it, I was shocked! I could not believe what we were spending on food and eating out. It was more than our mortgage! Chances are that if you have not been following a zero-based budget, you don’t really know how much you have been spending. If you think you spend $600 a month on food but haven’t really been tracking it, it is probably more like $1200. Once you have your budget laid out with your income, expenses, and miscellaneous categories, you may have some money left over. I want you to be very intentional with what is left. This is what goes toward your goals. Do you want to be debt-free? Send what is left to your smallest debt. Do you want to travel? Transfer what is left in a savings account specifically for traveling. I want you to decide what is important to you and use your money for that. Your budget should have a balance of zero on paper. Do not have a $300 balance on your budget. You can and should budget a little extra for categories. You should also have a miscellaneous category for unexpected expenses. This will be your buffer – you do not need to leave $300 in your budget without a purpose. Whatever is left goes toward your goals. Whether it is saving for emergencies, or a savings goal, or paying off your debt, this is where your money starts to work for you. You get to control your money instead of your money controlling you. It is seriously that simple. You figure out your income, expenses, and decide what to do with what is left. I can’t make it any simpler than that. The hard part is putting it together at first and then deciding that it’s important enough to stick to it. Write it down. When you write down a goal, you have a greater chance of achieving it. And yes, a budget is a goal for your money. Write it down on paper! Use cash. You will stick to each budget category easier and spend less money. It’s harder to let go of cash, so you naturally spend less at the store. Have some wiggle room. Don’t make the budget too restrictive. Overbudget for things because chances are that it will cost more than you think. Give yourself a miscellaneous category for things that will come up that you forgot about. Make a visual of your “why.” Sometimes you need some extra motivation to stick to the budget. Decide what you want to do with your money and make a visual for when you are tempted. Whether it’s travel, staying at home with your kids, or being debt-free, keep the visual where you see it every day. This will help remind you why you need to stick to your budget. Do I need a budget when I have a low income? Everyone needs a budget, it doesn’t matter if they make $25,000 or $250,000 a year. If you don’t manage your money, it will not help you achieve your goals. If you make a low income, you especially need a budget. You do not have much wiggle room in your budget and a small mistake could be devastating. However, don’t assume that the more money you make, the fewer problems you will have. Without a budget, the more people make, the more they spend. Yes, this would be nice if you have a low income but you still need to manage your money. You want to decide what your goals are and then as you make more money, you can put more towards them instead of just spending more money. What if I don’t want to deal with a budget? If you want to work at a job you hate for years and just spend aimlessly, then so be it. If you want to have financial freedom and be able to do whatever you want to do, then it starts with a budget. A budget is not hard once you start one. It is generally the same month-to-month. It will vary from month-to-month slightly, but overall it’s the same. Once you get used to it, you can move it to an app or spreadsheet and then it’s just a matter of copy and paste each month. Then adjust depending on what is going on that month. What if I screw up the budget? It’s okay! You will screw it up at times. Especially the first couple of months. Give yourself some leeway the first three months. It can take up to 90 days to form a new habit. It will take some getting used to. Especially if this is all new to you. You will forget to budget things. You will have unplanned things come up. You will have an emergency. All these things will happen. But if you plan for them, they won’t wreck your budget. An emergency will become a minor inconvenience. A budget is easy, the hardest part is starting one and sticking to it. A budget allows you to achieve your goals and still have fun. Write your budget and your goals down to help motivate you. Join some like-minded Facebook groups to ask questions and have some support. Sticking to your budget will not always be easy, but it does get easier the more you do it! Ashley Patrick is the owner of Budgets Made Easy. She has written an ebook, 200 Easy Ways to Save Money Everyday and The Ultimate Budget Makeover Workbook.